Every single day, you can count on your hearing aids to provide you with the support that you need and the hearing quality that you have gotten used to. Hearing aids are miniature technology, which means that no matter how much you wear them or handle them with care, there will be times that your hearing aids are at risk of breakage or malfunction. 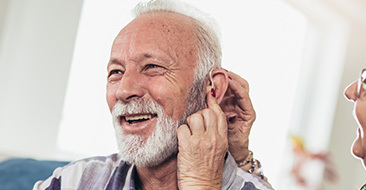 It can be quite difficult to be without your hearing aids for a few weeks when you have to get hearing aid repairs sorted, so trying not to damage your hearing aids in any way is absolutely essential. This also includes knowing the right way to care for and maintain your hearing aids, as well as changing the batteries and knowing the proper way to insert and remove them. If you’ve been wearing hearing aids for a while, you can guarantee that you already know how much these little devices have added to your quality of life. 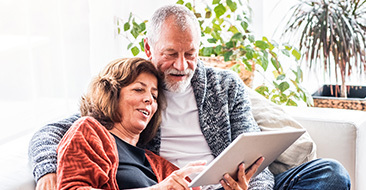 Taking the right care of them is so important and whether you’re thinking about getting them cleaned, the battery replaced or simply storing them correctly, you need to know exactly how to do it so that you get the best out of your hearing aids. Below, you’ll find some helpful tips to stop your hearing aids from clapping out on you! If you think about the basics of a hearing aid, it’s designed to help you to hear, amplifying sound so that you can live your best life. 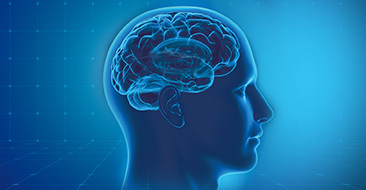 Inside a hearing aid is a maze of technology; wires, connectors and circuitry and all of this is built into a tiny shell that sits behind the ear. It’s remarkable, really and so the one thing that you don’t want to introduce all this technology to is moisture. While you may forget that you are wearing your hearing aids, you shouldn’t step into the shower with them on. If you expose the hearing aid to moisture, you’re going to end up doing some serious damage. Hearing aids are being made to be water resistant now, but that doesn’t mean you should allow them water contact! During your audiologist appointment about your hearing aids, you will be shown how to change the battery on your hearing aids. If you leave them in for a long time, the hearing aid batteries can cause damage to your device. When you’re not using your hearing aid, you need to open the door for the battery and when you do change the batteries, clean the battery contacts in your devices. This can be done by wiping them down with a dry cotton swab. One of the biggest causes of decreased performance in hearing aids is earwax. There’s not much you can do about the hearing aids coming into contact with earwax, considering that the wax comes from the ear itself. It’s one of the reasons that you must take the time to clean them often. You can’t put a cotton swab into your ear canal, but you can sure use one to gently remove any wax that is surrounding your hearing aid. Sometimes, hearing aids just need a little love. This involves making sure that you aren’t dropping them on the floor and watching them smash. Always keep your hearing aids out of the reach of children and animals and when you’re changing the batteries, put them down on a towel so that they aren’t accidentally knocked over. Earlier, we mentioned earwax removal. Well, one of the best things you can do for your hearing aids is to change the wax guard – or filter – in the device. Your audiologist can show you how to do this. The filter prevents the wax from reaching into the internal components of the hearing aid and causing damage. Not every hearing aid has the same filter, though, so speak to the audiologists at Mountain Ear Hearing Associates and we can teach you exactly what to do when you see a buildup on the filter.